#sofa4manhattan. Warm thoughts on my return from New York. I just got back a few hours ago from New York and I am still very impressed by the experience. This past weekend I lived in the Design-Apart loft and worked for two full tough days with great people. I realized the importance of the moment when on Saturday morning the designers began to arrive one by one, I was collecting coats and offering glasses of water. After playing host, along with Diego (Paccagnella), I soon recognized I was going to be in for something unique. A group of really interesting people were coming to discuss with me, what a New York sofa could look like and more importantly what it would look like for each of them. By the end of the weekend, the project would become firmly rooted in my mind. This is going to be the biggest challenge: to create together the #sofa4manhattan. We will be talking to New Yorkers about their homes, their tastes and their way of life, so that we can share the process of designing a sofa together. To do this, we decided to continue with the experience of last year, with the #divanoXmanagua project. I have to thank Stefano Micelli and Diego Paccagnella for convincing and encouraging me to develop a special sofa, which became a very special project. 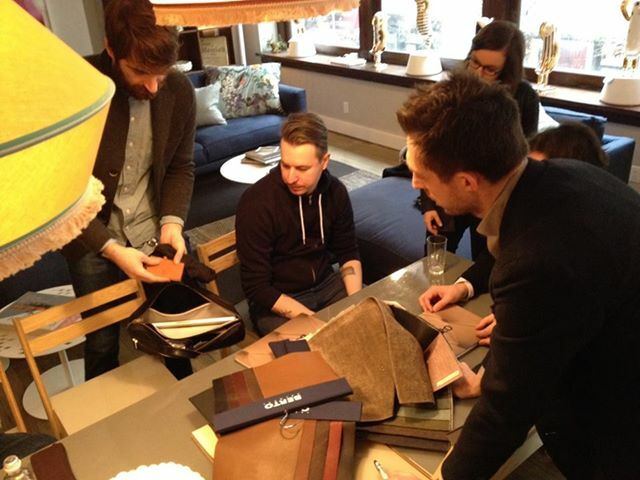 Now, this experience is about to be recreated, in New York City, the #sofa4manhattan will be designed and hand-made with the best of the best. 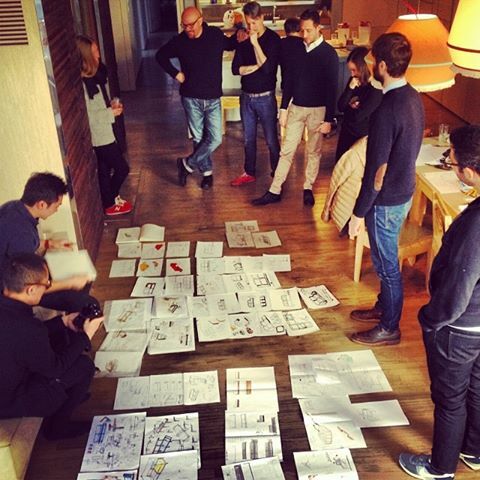 Thanks to Diego P. and Dario Buzzini, we organized a two-day workshop involving a group of very influential people, including the architect Luca Nichetto, 4 Designer Ideo (a very prestigious club) and many other VIPs that I would like to introduce to you, one by one. From Meda, Italy to New York City, we’ve traveled the long road to become master artisans, so it is very important to us to put some stake in the design of the #sofa4manhattan. 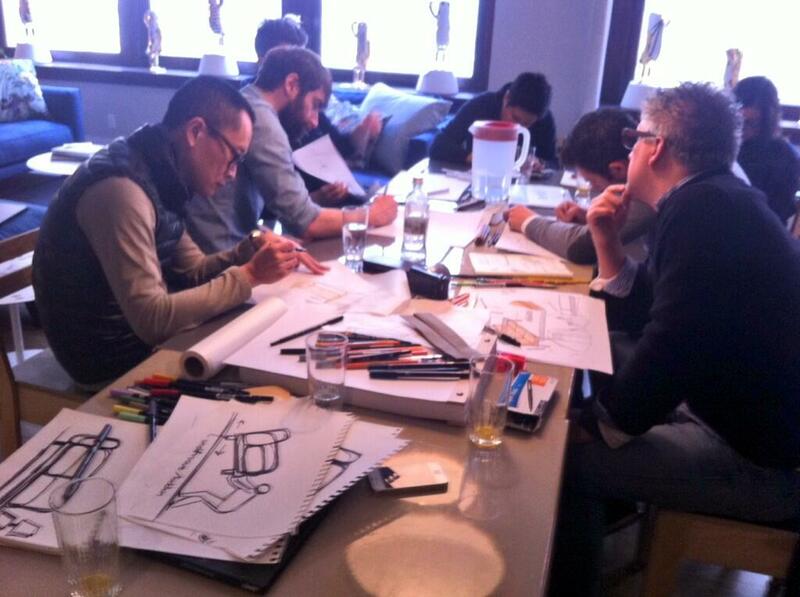 It was exciting to tell architects, designers and inventors from the farthest points of the world, how we make sofas. The importance of a solid wood or iron frame being the basis for strength and comfort, the infinite options for detailed customization and the endless possibilities of slipcovers, this is, the true soul of Berto upholstery and tailoring. At the end of the first day, we picked up a good number of individual projects, and on Sunday found fusion when three groups working together arrived at a final solution. I can say that the #sofa4manhattan was conceived under a lucky star, a star so fortunate that it is very likely to take the lead. – The identification of the winning project. – On March 10th to the 15th 2014, the organization of a Crowdcrafting event will take place in the Design-Apart loft. – The event will involve, as in the tradition inaugurated by the #divanoXmanagua project, anyone who wants to participate and understand how to build a sofa according to Italian upholstery traditions. Other than the intense emotion related to the birth of a new product, the weekend workshop and meeting many VIPS, I am convinced that I am taking a step forward in my personal growth. Speaking for my company, we do all of this in total openness and with heartfelt caring, we hope to grow as well.